Going back to school causes lots of nervous feelings. Put your new students at ease with this cute note on their desk when they walk in on the first day. 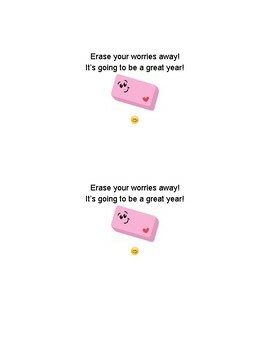 I like to pair mine with a brand new eraser!